The suite was better than expected. Everything was available. 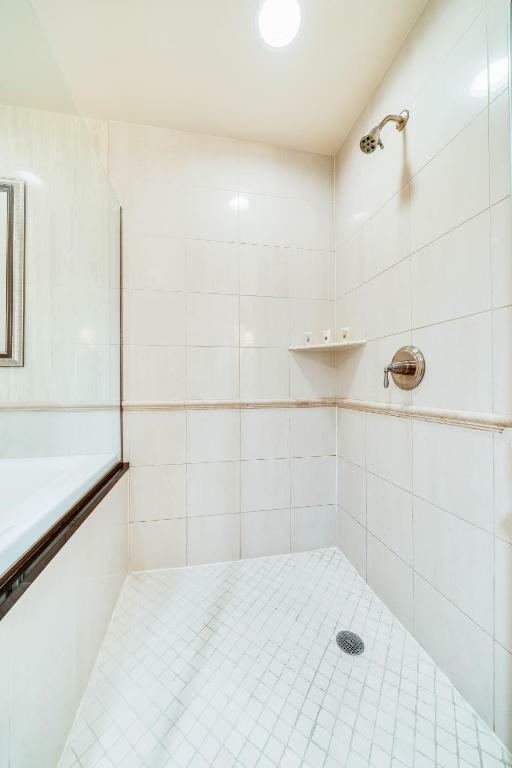 Large bathroom with a huge jet tub and toilet in closed room. Bed was comfortable, was quiet, didn't use the kitchenette but was nice that it was available. Was a about a block from the strip, through the MGM hotel. Rooms were very clean. All the staff was professional and courteous. Each tower had its own pool, but unfortunately it was raining and we could not use it. Staff was excellent, went above and beyond to be helpful. This hotel was amazing, the staff was really friendly, there were so many amenities and perks... I love all the pools & the bar in the lobby was amazing. I booked the master suite it had two huge full bathrooms , one with the spa tub, a full kitchen and beautiful balcony with a city and Mountain View, I fell in love. 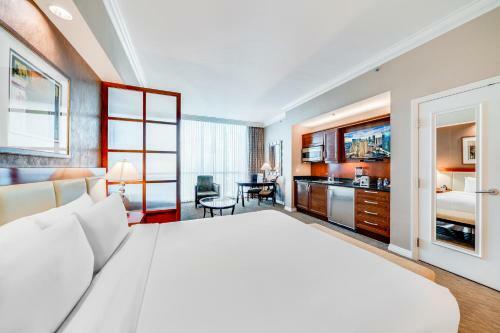 Lock in a great price for Jet Luxury at The Signature Condo Hotel – rated 8.9 by recent guests! Jet Luxury at The Signature Condo Hotel This rating is a reflection of how the property compares to the industry standard when it comes to price, facilities and services available. It's based on a self-evaluation by the property. Use this rating to help choose your stay! One of our best sellers in Las Vegas! A 5-minute walk from the Las Vegas Strip and featuring an outdoor pool, the Jet Luxury @ The Signature Condo Hotel has elegantly designed accommodations with kitchen facilities. 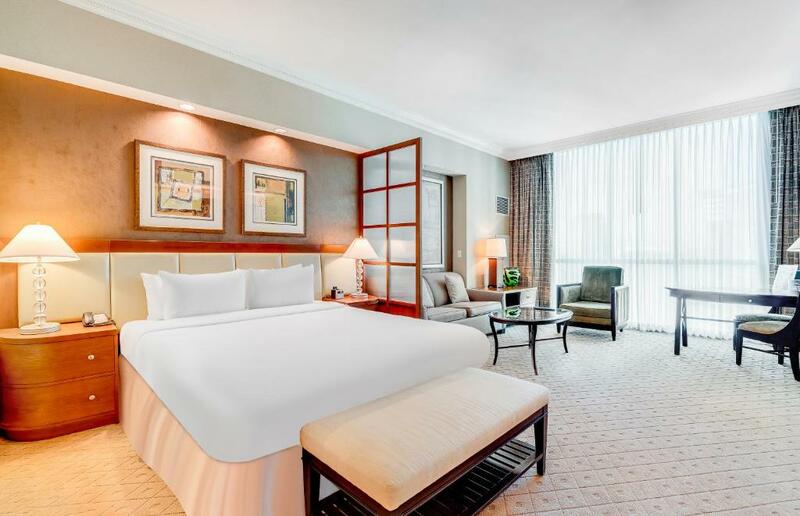 The spacious suites include a kitchen or kitchenette and free Wi-Fi access. All of the modern suites have a microwave, refrigerator, stove, coffee machine, and a dining area. Additional amenities include a sitting area with a sofa, a flat-screen TV with pay-per-view channels, and an iPod docking station. Guests here will stay entertained throughout their stay thanks to the many facilities available, such as a spa and health club, a fitness center, an outdoor hot tub, and a kid’s club. A restaurant, a bar, a concierge service, and entertainment staff can all be found on site. World-class dining and shopping options can be reached within a 10-minute walk or 2-minute drive. Crystals Shopping Center is just over half a mile away. 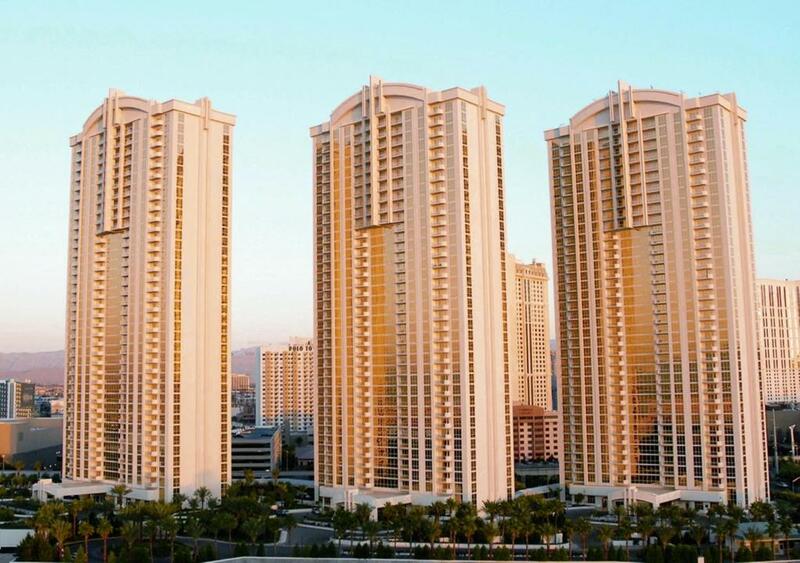 All of the major casinos are less than a 5-minute drive from Jet Luxury @ The Signature Condo Hotel. McCarran International Airport is 2.5 miles from the property. 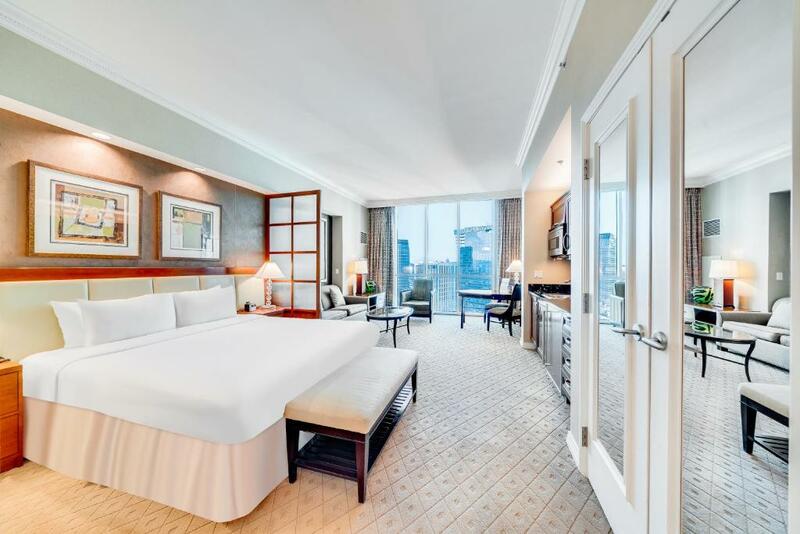 When would you like to stay at Jet Luxury at The Signature Condo Hotel? 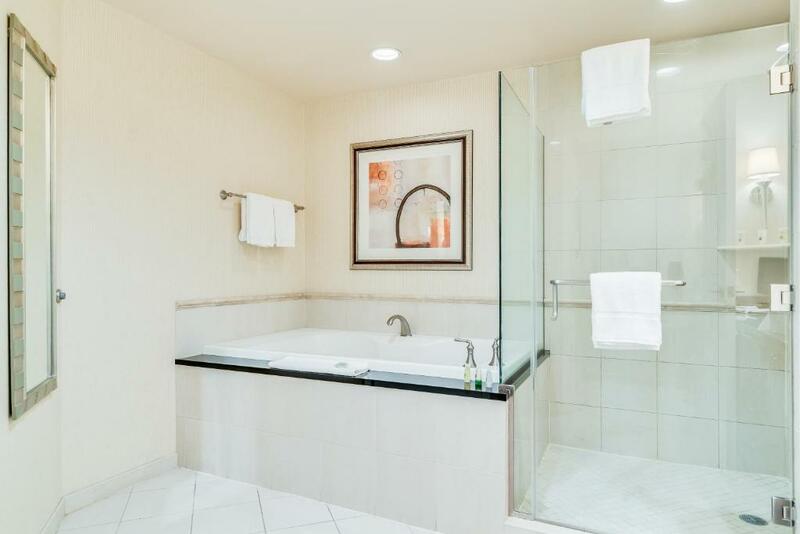 Featuring a mountain view, a spa tub is provided in this junior suite. 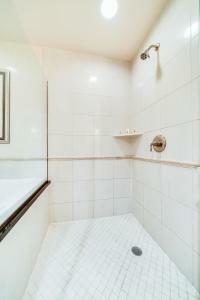 Granite counters and a separate shower is featured in the private bathroom. A sub-zero refrigerator is featured in the kitchenette. 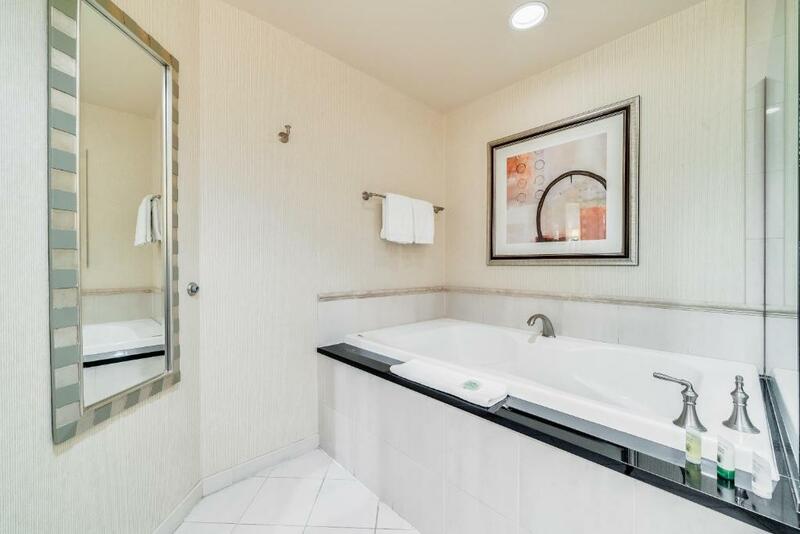 Featuring a mountain view, a spa tub and a private balcony are featured in this one-bedroom suite. With an open layout, the gourmet kitchenette is adjacent to the spacious living room. A sub-zero refrigerator is featured in the kitchenette. House Rules Jet Luxury at The Signature Condo Hotel takes special requests – add in the next step! Jet Luxury at The Signature Condo Hotel accepts these cards and reserves the right to temporarily hold an amount prior to arrival. - The minimum age to check into the property is 21 years and older. - Housekeeping services are available upon request and charges will apply. - When your credit card will be held for incidentals. Any stolen items from the room, damaged parts of the room or smoking in the room will result in your credit card on file being charged for said damages. Please inform Jet Luxury at The Signature Condo Hotel of your expected arrival time in advance. You can use the Special Requests box when booking, or contact the property directly using the contact details in your confirmation. The room is dirty and all dinged up water draining issues. Couldn’t sit couch without covering with a blanket. Not worth the price I paid. The view was nice and it has a balcony. Nobody changed my sheets and I was there 5days. I took them off and they put the same ones back on. Very disappointed that neither the telephone or the television worked. It took 24 hours to get the WiFi to work. Absolutely no information was given at check in for ANYTHING. Also, there was no information in the room as to attractions or anything else in the area. Lamps needed replacing, carpet replaced, couch was dirty needs updating, no plug for phone on nightstand and one of the towels was dingy and raveling. I used the towel for a floor mat. Housekeeping kept banging on my door as of 10:30. Check out was at 11 and I had my do not disturb light on. Smell of smoke in Casino. Could not stand it for non-smokers. Had to pass through quickly. Could not play in Casino. Shower temperature was very difficult to control, faucet internal need to be changed, temperature of water very unstable. All the comforts of home. We liked everything. Clean and smoke free. Nice pool. I asked for extra blanket and pillow because the one to the sofa bed was very thin, when we got to the room and the person who answered the call said she would check if she had people on staff still to bring the blanket, she never called back,to tell me if if she did , they never did bring the blanket or pillow or called back to let me know if it was going to get done or not.